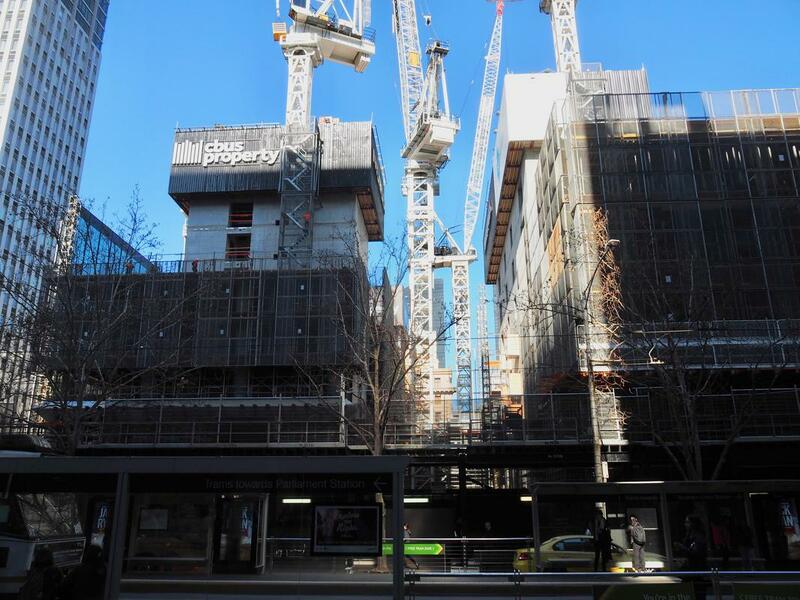 447 Collins Street, the commercial component of the wider Collins Arch project backed by Cbus Property and ISPT, has become the country's third development to receive a platinum level WELL Precertification. Overseen by the International WELL Building Institute, precertification amounts to acknowledgement of design characteristics that demonstrate leadership in health and wellness. WELL Precertification is effectively a nod toward the design of commercial buildings which improve the nutrition, fitness, mood, sleep patterns and cognitive performance of its occupants. To date the only other developments to receive an equivalent precertification rating in Australia are the nearby 477 Collins Street and Circular Quay Tower in Sydney. Further enhancing the sustainability credentials of 447 Collins Street, the development team have also put if forward for a 6-star Greenstar accreditation and 5.5 star NABERS energy rating. According to the International WELL Building Institute, Geelong's freshly completed 1 Malop Street office development is Victoria's sole project to date that has achieved Platinum level certification upon completion. Design features that aided in 447 Collins Street's WELL Precertification include indoor air quality monitoring, interiors fitness circulation, superior natural lighting and ventilation, varied amenities and services offered to those working within the building and the promotion of bicycle access and associated services. WELL is moving the focus of the building rating tool world from an environmental and building focus to a human health focus. This is really important in an age where people are spending over 90% of their time indoors. If you are trying to attract and retain a tenant, you need to create a work place environment that is aligned to your life beyond just work. Our tenants are also vying to attract the best talent in their respective industries. Workplace wellness programs help define your employer brand and set it apart from the competition. Showcasing an intentional culture that genuinely supports employee health and well-being is powerful — and can help to attract, secure and retain talent”. 447 Collins Street's commercial component incorporates 50,000 square metres of premium grade office space, and has been popular with Melbourne's legal fraternity. To date 80% of 447 Collins Street's available space has been accounted for, apportioned to future tenants Minter Ellison, HWL Ebsworth Lawyers, Gadens and Hong Kong-headquartered King & Wood Mallesons. Collins Arch's physical manifestation continues at pace. The larger footprint of 447 Collins Street has become evident as its westerly form rises above Collins and William streets. 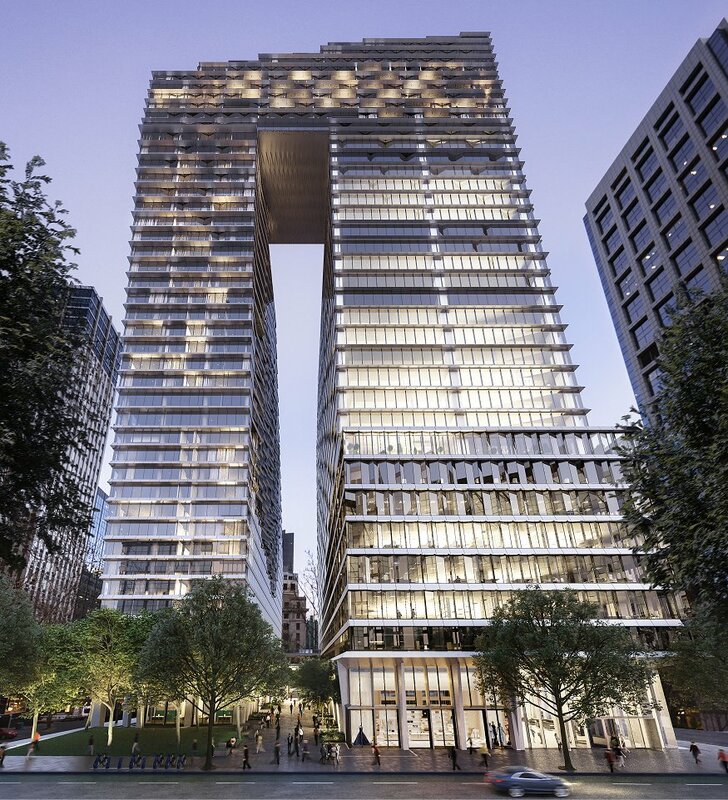 Created by Woods Bagot & SHoP Architects, Collins Arch's other tower form is rising jointly at 433 Collins Street; it will include a W Hotel-branded 5-star hotel with 294 rooms, 1,000 square metres of dedicated high end retail and 185 apartments. 2,000 square metres of public open space including a tiered amphitheatre will sit at the projects eastern doorstep, incorporating for a portion of Market Street.